This house boat is a comfortably large 55' space with all you will need - no amenity lost. Full kitchen, living space with sofa and table, bathroom with hot shower and functioning toilet, 3 wall heaters for cozy nights, 1 full bedroom with queen bed and closet, 1 lofted bedroom with a queen bed, a full size sleeper sofa in the living room, and very large rooftop deck boasting views of Seattle and Lake Union. - (3) kayaks - first come, first serve. No reservations available. - On occasion the toilet holding tank does get filled and is unable to be pumped on weekends. There are bathrooms at the marina for use, which I encourage. I will not offer any refunds if the holding tank does fill and is unable to be pumped. Of course, we will do our best, but there are limitations. End of dock slip. Boats the best views in the city. 5 kayaks available, first come first serve. A lovely space, nicely appointed with houseboat down- sides described ahead of time- so no surprises. I thoroughly enjoyed the space and atmosphere. A dream come true peaceful beautiful views the houseboat was great everything you could ever want. It's a charming weekend getaway well located between several Seattle hotspots. It is a simple but elegant home. The primer was a great tool in preparing us to adjust to life on the water as well as etiquette on the boat. We had a great night on the boat. We were looking for something unique on the water and that is what we got. We tried connecting to the WIFI for some music but none of us were successful. Overall, we weren't looking for internet so we just played some board games and had a blast. The heaters worked great for those that like it toasty and the others were comfortable with the regular air. If it wasn't raining, we would have enjoyed the outdoor patio a bit more, but they really try to meet everyone's needs. We had no issues getting in/out so we never contacted the hosts while on the boat but they were very responsive during booking and after checkout. I would highly recommend the Ginger Houseboat for any group! Great experience overall and simple process. Could benefit from new mattress in master bedroom. 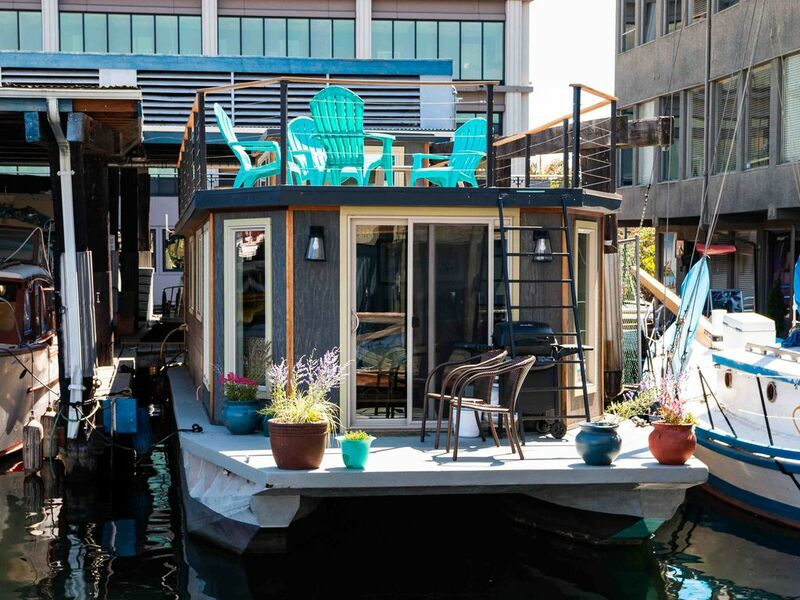 This House Boat is Beautiful, Clean and Elegant. I truly recommend this for a romantic getaway, girlfriend weekend and much more. The feeling of being in the city but in a secluded hideaway.